Wow Wow Wow! It’s finally here! 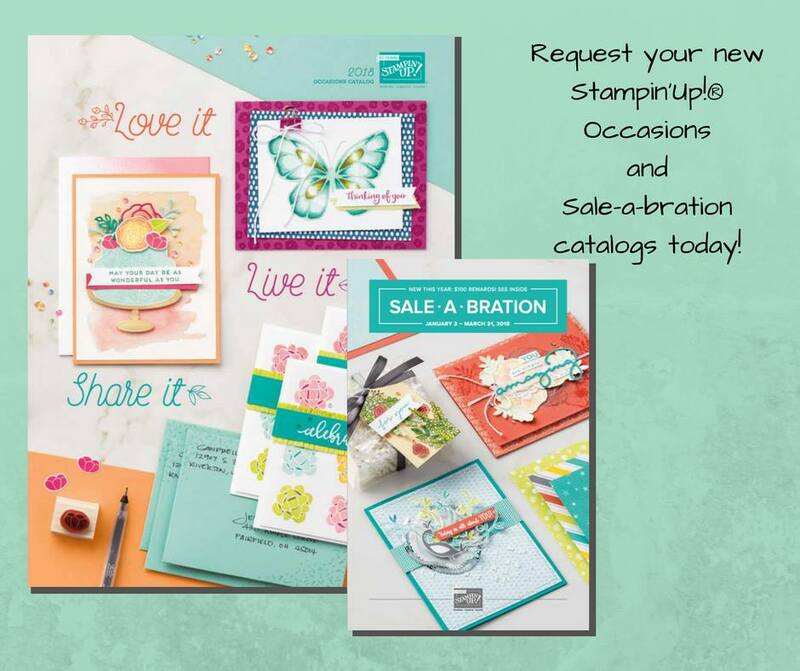 The 2018 Occasions Catalog and Sale-A-Bration catalogs are FINALLY here!!! I’m so excited to be a part of this hop with these amazing, talented demonstrators. We’ve got a fantastic assortment of creativity to share with you. I’m praying that after you finish hopping through, you will be just as excited as I am about all the wonderfully exclusive things YOU can earn for FREE with a $50 order starting tomorrow! I’ve got a couple Sale-A-Bration items myself that I was able to get early as a perk of being a demonstrator. My most favoritest (is that even a word?) 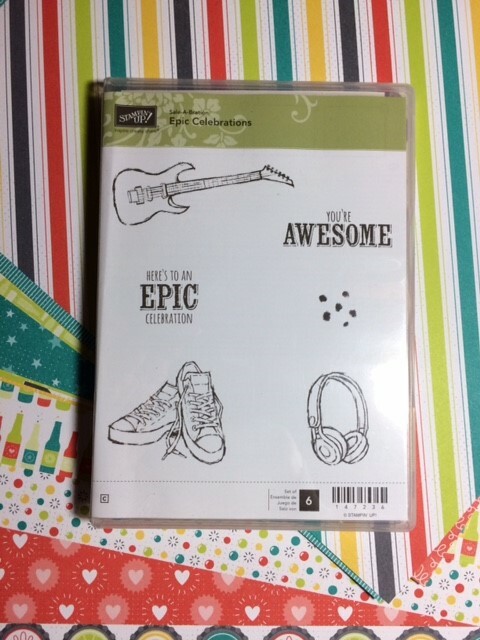 of them all is a stamp set called Epic Celebrations. For those of you that don’t know, I have two teenage daughters in my home. They always need a card and all of mine are either too flowery or too plain. Every once in a while they will really like a card. 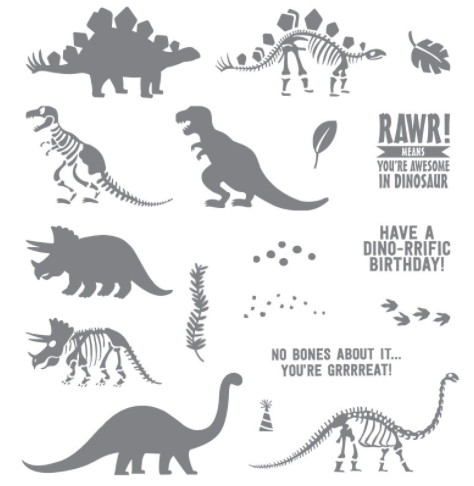 This new stamp set is perfect for teenage b-day cards. Or just the occasional, hey, I have to give you a card because my mom said, card. It’s cool and that makes me cool. HA! Take note of the beautiful colors of that scrapbook paper behind the stamp set. That is also something you can earn for FREE in the Sale-A-Bration brochure, it’s called the Bubbles & Fizz Designer Series paper. Here’s what I’ve come up with using these 2 products together. 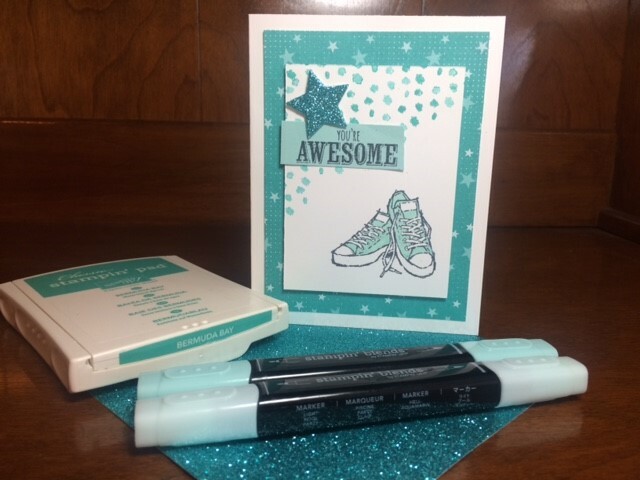 This turquoise glimmer paper is from the Occasions Catalog. It matches perfectly with Bermuda Bay colored designer series paper. 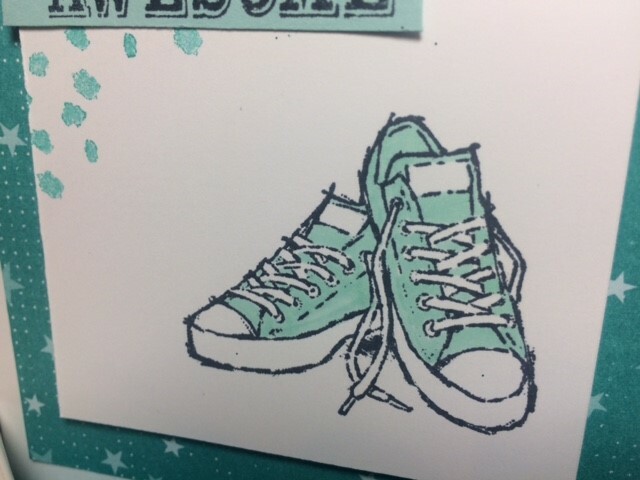 I colored the converse shoes with the Pool Party Stampin’ Blends alcohol markers. I love these markers! 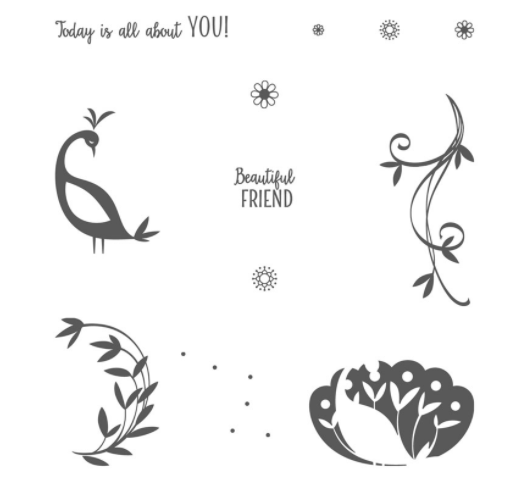 I hope you fall in love with this stamp set like I did. Hop along and check out all the fun ideas using the Sale-A-Bration items. 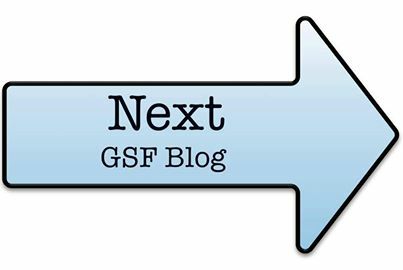 Scroll to the bottom for upcoming classes and ways to earn even MORE FREE stuff! Need a Catalog? 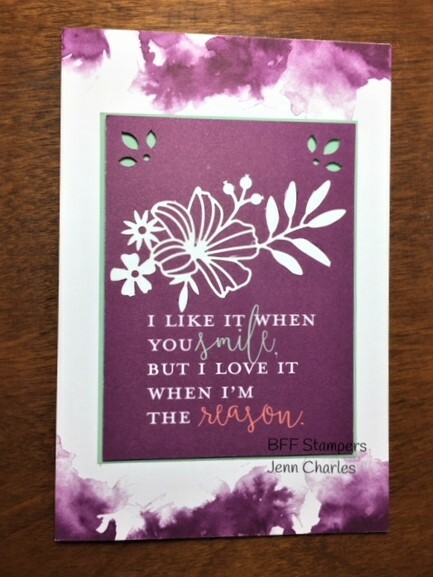 If you do not have a Stampin’ Up! Demonstrator, I would love to send you a catalog and get you hooked on papercrafting! Contact me and I’ll send you out the catalog with a surprise! The Occasions Catalog goes live tomorrow! A couple options to earn more FREE stuff! ***Host a party with $250 in sales and you can receive at least $50 in FREE product of your choice! ***Collect orders (or put in your own order) of $100 and join me in a Catalog Hostess Party. I need 10 friends to host a $1,000 party and you will all receive a share of the Hostess Benefits. ***Want it all? Did you know that you can sign up to be on Team BFF and you will receive a discount of 20% on everything you order and get the perks of being first to see everything and first to order it? Starting tomorrow, you can get $125 worth of product for $99 with FREE Shipping AND you will also receive 2 FREE stamp sets of your choice! We Are Bringing Birthdays Back! Bringing birthdays back? Yes, we are! Well what exactly does that mean you ask? 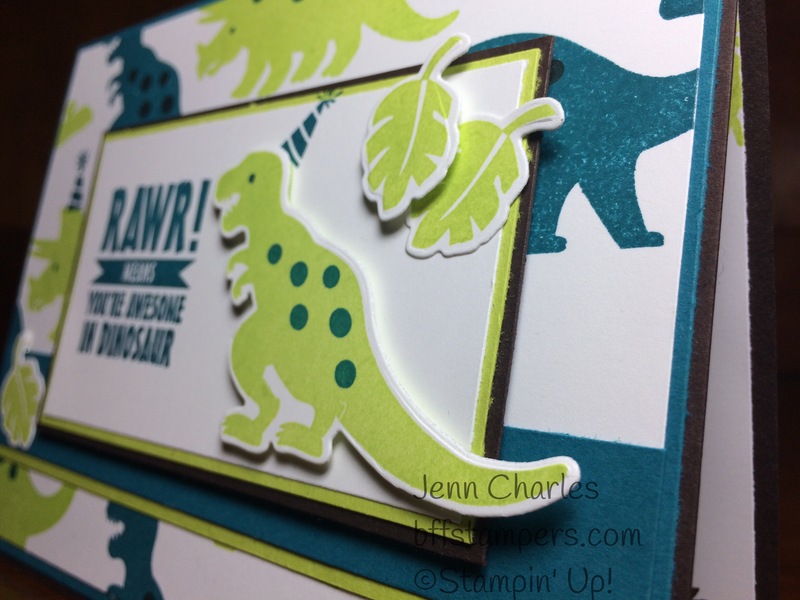 #imbringingbirthdaysback is a new movement that originated with Shannon West a Stampin Up! Training Manager. 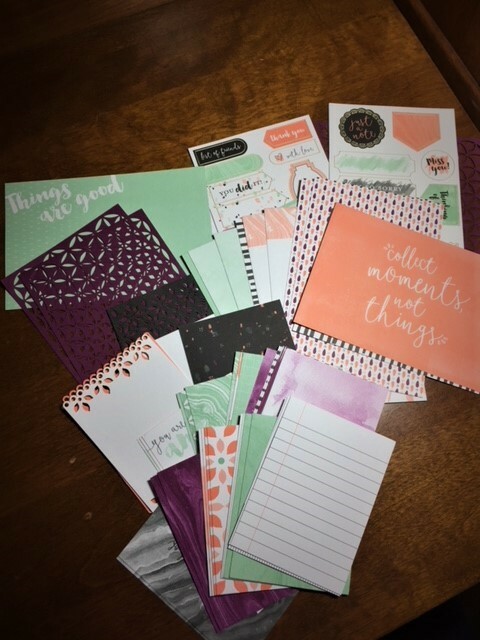 It’s simply a movement to bring back hand written notes and cards being sent and received via mail! No, not email, Facebook, or text message; good, old fashioned mail. You know that box you go to and usually just take out envelopes that contain bills, advertisements for credit cards and other miscellaneous junk mail – it’s called a mail box! In the “olden days” that mailbox used to be filled with handwritten notes, birthday cards, invitations, Christmas cards and beautiful cards that could bring a little brightness to your day. Well Jenn and I thought this was such a great idea that we wanted to be part of the movement! 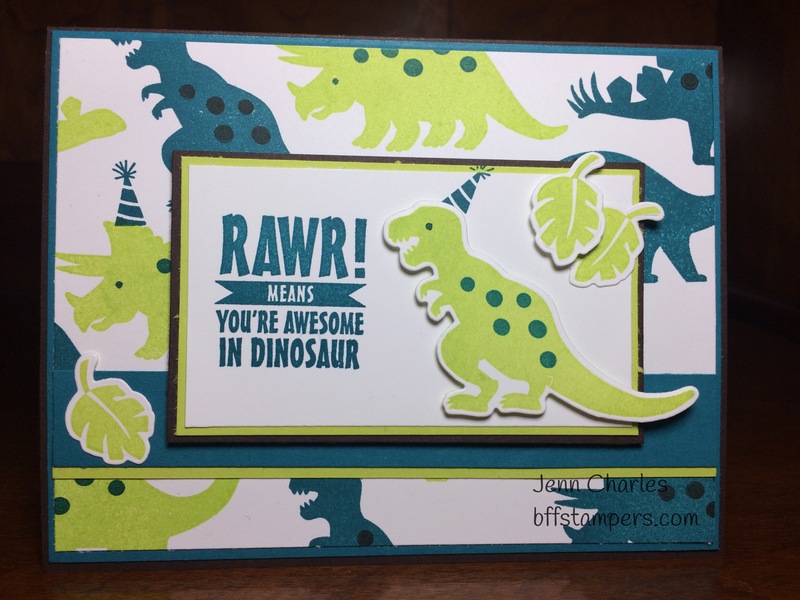 We are so excited that Jenn has been making birthday cards every day! We would love to send YOU a card! Email us your name, address and birthday and we WILL send you a birthday card on your special day! 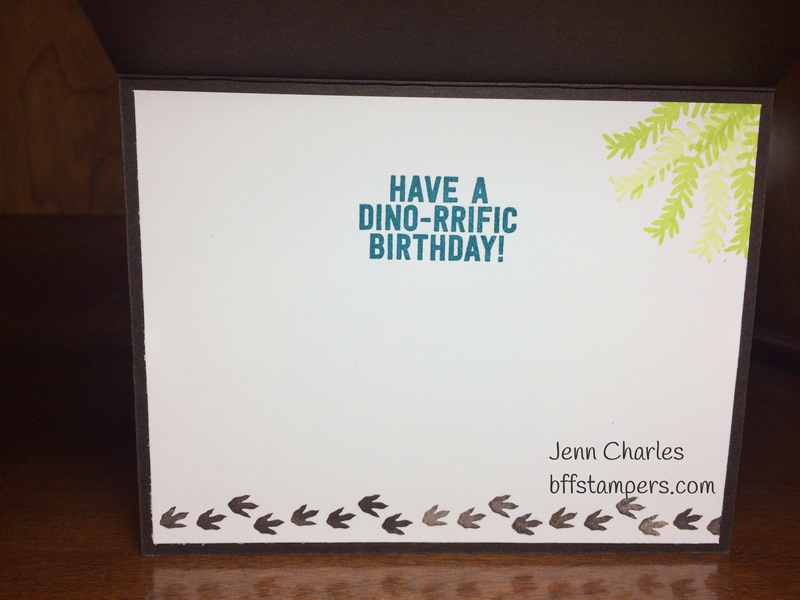 You can email us at bffstampers@dehaine.com. 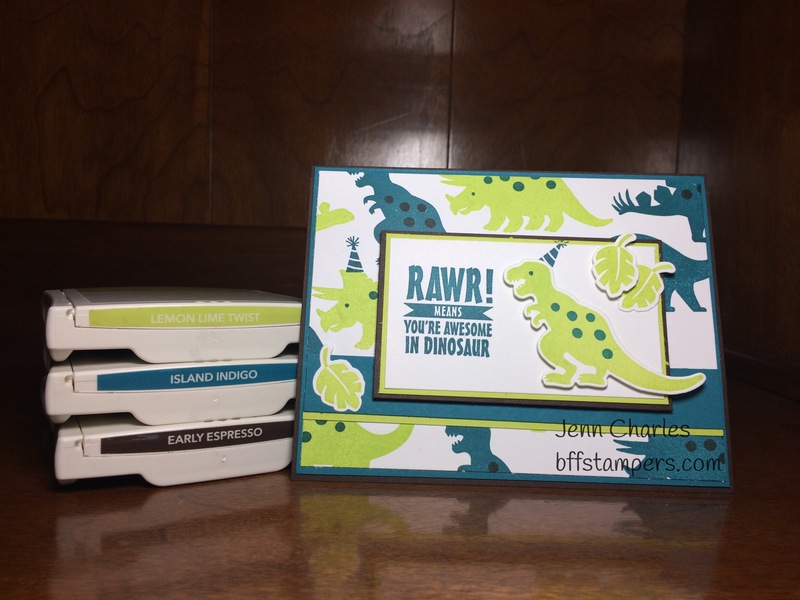 Here is a great “guy card” that Jenn made yesterday! You know ladies, boys have birthdays too! 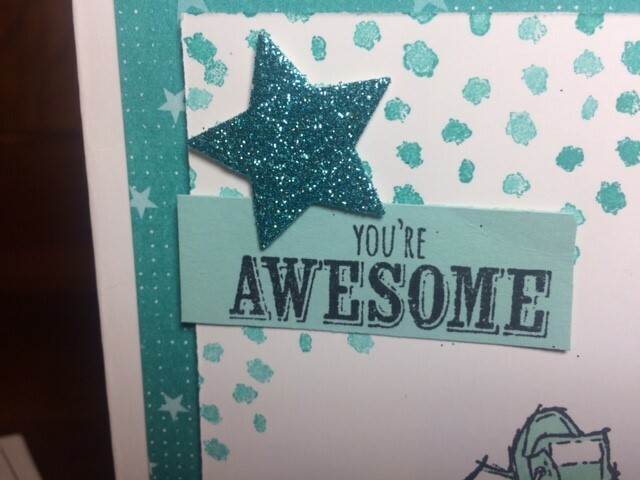 If you want to make this card here is a list of the Stampin Up! items you will need!